IT APPEARS THE ELITE CONTINUE TO FEAR THEIR OWN DEMISE AS A NEW WAY OF LIFE IS INTRODUCED TO MAN, -- A NEW LIFE OF TRUTH AND FREEDOM! IT IS HERE THAT I INCLUDE AN EMAIL I RECEIVED ON MARCH 07, 2010 THREATENING MY DEATH. I INCLUDE IT HERE ON THE UMBRELLAWALK SITE TO REMIND THE ELITE THAT ---- THIS IDEA, THIS UMBRELLAWALK WILL NOT DIE, IT LIVES FOR EVER, SEEKING THE FREEDOM AND TRUTH THAT EVERYONE IS ENTITLED TO ---- NO THREATS OR ACTS THAT DETER THE WALK TO TRUTH AND FREEDOM WILL STOP THE WILL OF THE ONE IN EACH OF US!! subject This is you last chance Gill Harjit. I am very sorry for you, is a pity that this is how your life is going to end as soon as you don't comply. As you can see there is no need of introducing myself to you because I don't have any business with you, my duty as I am mailing you now is just to KILL you and I have to do it as I have already been paid for that. Someone you call a friend wants you Dead by all means, and the person have spent a lot of money on this, the person also came to us and told me that he want you dead and he provided us with your name ,picture and other necessary information's we needed about you. So I sent my boys to track you down and they have carried out the necessary investigation needed for the operation on you at (address of Harj Gill edited out for privacy) , BC, and they have done that but I told them not to kill you that I will like to contact you and see if your life is Important to you or not since their findings shows that you are innocent. I called my client back and ask him of your email address and telephone number which I didn't tell him what I wanted to do with it and he gave it to me and I am using it to contact you now. As I am writing to you now my men are monitoring you and they are telling me every detail movments you make. My dear do you want to LIVE OR DIE? As someone has paid us to kill you. Get back to me now if you are ready to spare your life, then I will send the tape to you and when the tape get to you, If you are not ready for my help, then I will carry on with my job straight-up. LET ME REMIND THE ELITE --- THE WILL FOR CHANGE WILL NOT DIE AND THE FIGHT FOR TRUTH AND FREEDOM WILL CONTINUE!!! 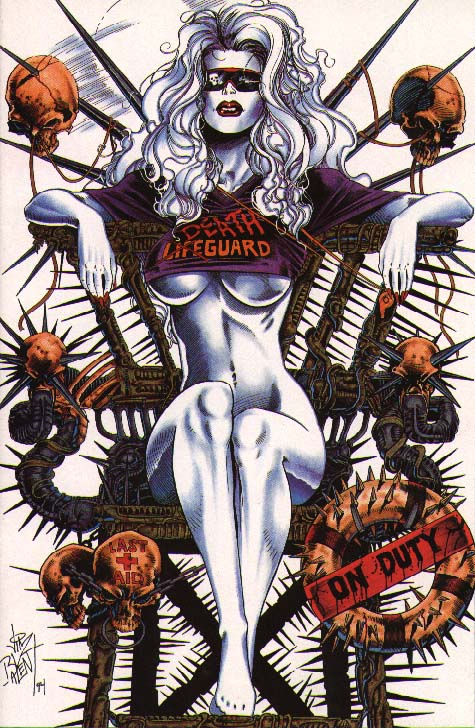 PROTECTED WE ARE BY LADY DEATH! "good bye my friend its hard to die when all the birds are singing in the sky"